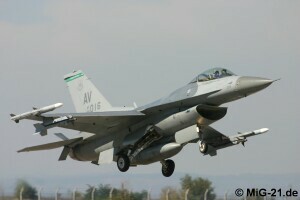 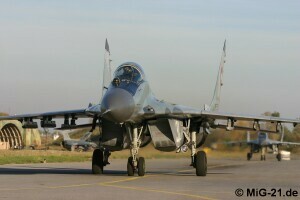 From October 5 to 26, 2007 in Graf Ignatievo Bulgarian-US exercise Родопско Копие (Rodopi Javelin) took place. 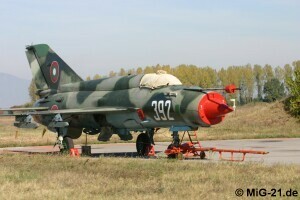 On the occasion of a media day on October 18 the author was given the chance to have a look at the event in which MiG-21s did not play an active part. 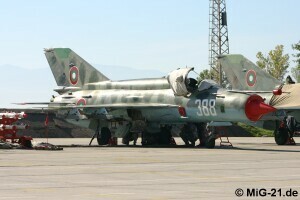 Unfortunately all MiG-21s remained on the ground. 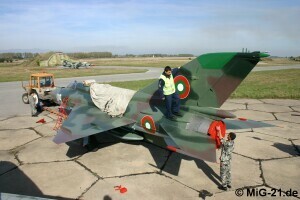 Aircraft shown here was put on display for the media together with one MiG-29 and one F-16. 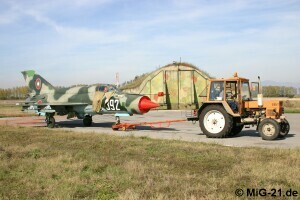 ... and in the shelter area. 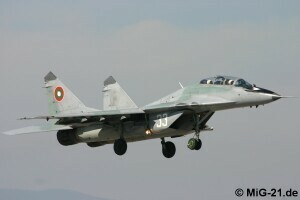 ... followed by several MiG-29s. 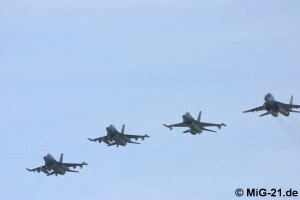 At the end of the mission F-16s and MiG-29s pass over the airfield together. 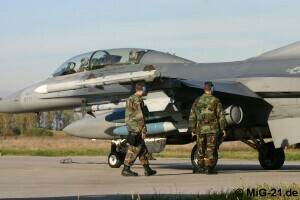 ... and air-to-ground armament. 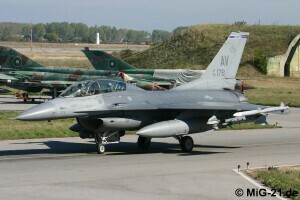 The latters was deploey during the live firing..
... were towed to other positions. 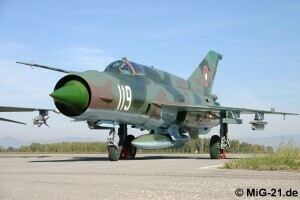 The author wishes to thank all members of Bulgarian Air Force who made the visit possible, especially Brigade General Radev and Ms. Hristina Andreeva.